Circling Through This Life: Introducing the Homeschool High School Blog Hop! Several of us on the Schoolhouse Review Crew will be participating in a brand new blog hop: Homeschool High School Blog Hop. 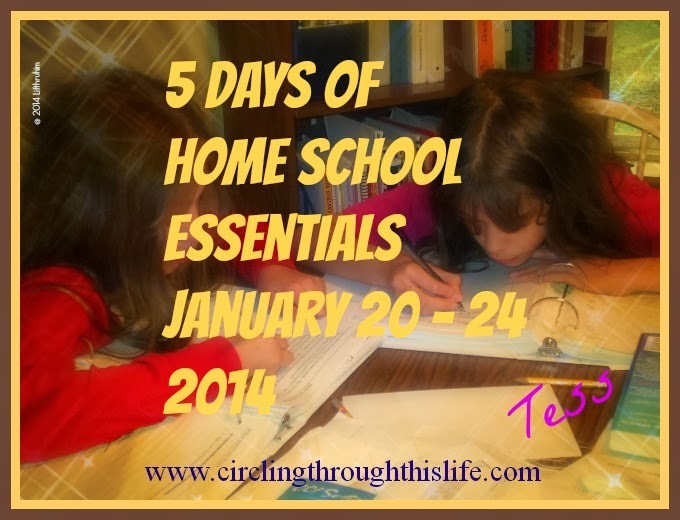 Each month we’ll be blogging about a topic related to Homeschooling High School. I am excited to participate in this new adventure. Now that I’ve been homeschooling some high school age children for several years I feel a bit more comfortable with what I am doing so I hope that I have something of value to share. Homeschooling through the high school years can seem daunting or overwhelming when you first start. For me it is a very different mind set with new challenges. October 28 - "How am I going to teach High School ...?" November 25- How do you fit it all in? The following is a list of participants. Be sure to visit their blogs and read their introduction posts! Kym from Homeschool Coffee Break - Meet the Homeschooling High School Bloggers! Carol from Home Sweet Life - Homeschooling High School ~ What is it REALLY like? My oldest graduated from our homeschool 2 years ago. I remember being scared and excited and worried all at the same time. Would I be able to do it? Would she be scarred for life? Would she get into college? How would I teach those subjects I didn’t even take in high school. You know those subjects like Biology and Geometry? Are you on the brink of starting high school with your students? Maybe you’ve been home schooling high school for a year or so but feel burned out? We hope that we’ll be able to encourage you, reassure you and yes virtually hold your hand. Look for the first topic: Planning For High School on June 24th!